While jogging around town one morning, our iPhone appropriately played, what we deemed the anthem for Seattle citizens; “Can You Stand the Rain” by New Edition. Apparently August is their ONLY nice month! Thankfully, we were blessed with many sunny days on our trip to enjoy this beautiful city. Sunny days- everybody loves them. Storms will come, this we know for sure. 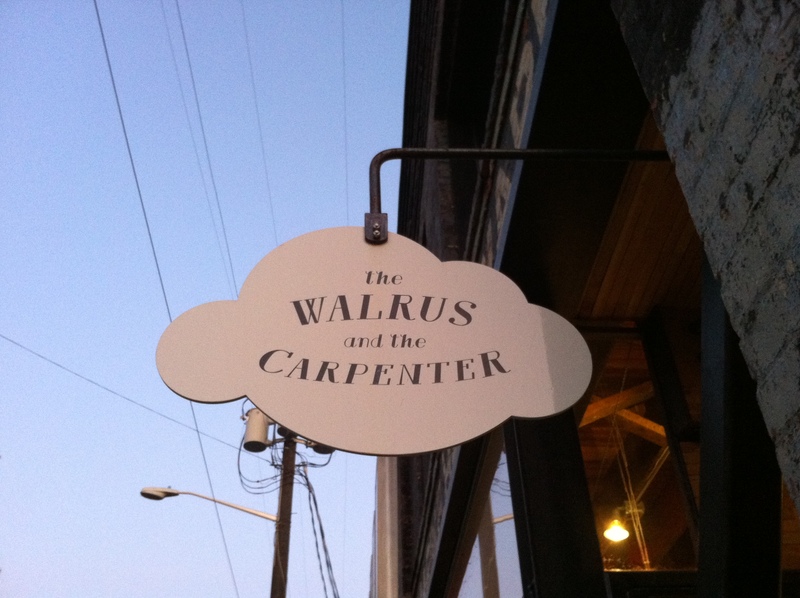 The “25: 35 Short List” – these are the few establishments that we feel have a earned a special place of distinction in Seattle and to which we give our highest recommendation (they are also bolded and marked by “*” before the business name). 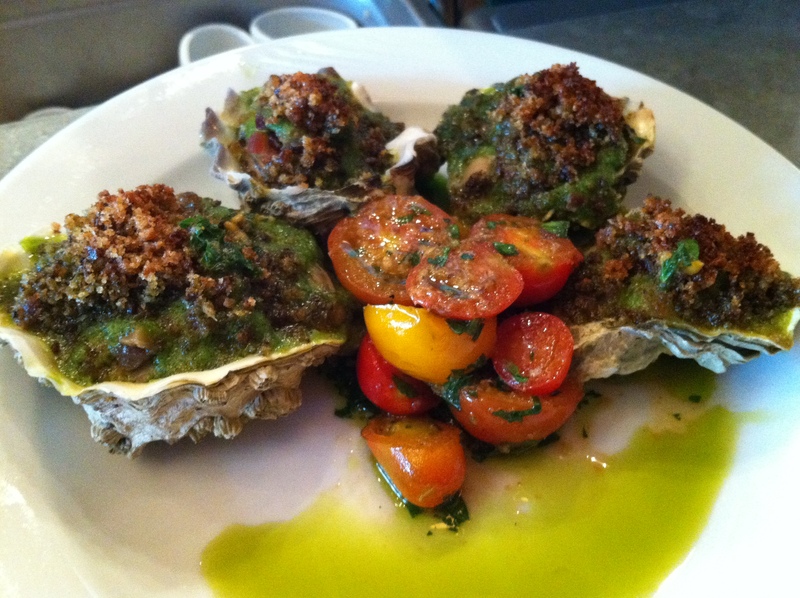 The rest of our Seattle recommendations are listed below it. 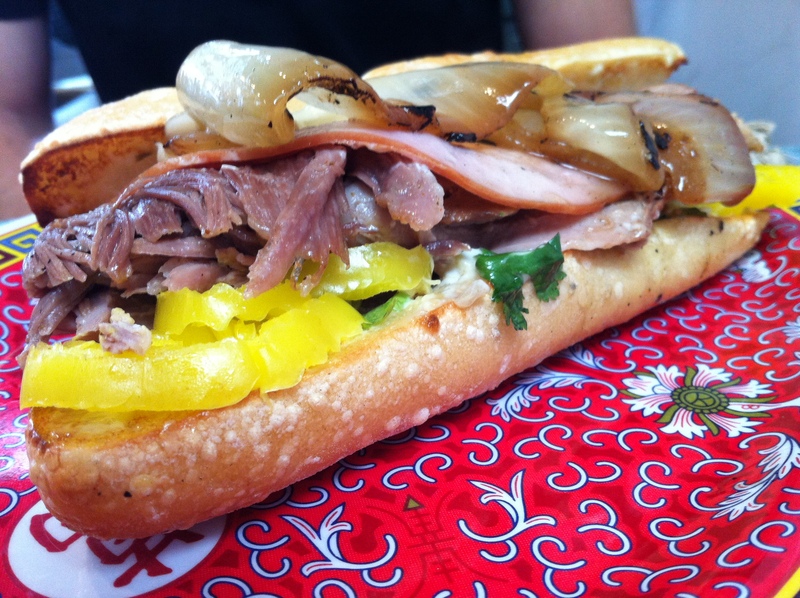 *Paseo – who would think that perhaps the most tasty spot in Seattle would be a Caribbean sandwich shop located in the quirky neighborhood of Fremont? Hop in line with the lunchtime crowd and get ready because these messy sandwiches are amazing. The Midnight Cuban Press and the Grilled Prawn Sandwich will not disappoint. *Spinasse – the fresh handmade egg noodle pasta (Tajarin) at this wonderful Italian restaurant in the Capitol Hill area is so good it is worth a trip just to try. You can even see the pasta being made fresh in their open kitchen. Order it both ways – butter and sage as well as with their rich ragu sauce – and enjoy the sensation of light, delicate pasta perfectly cooked melting in your mouth. 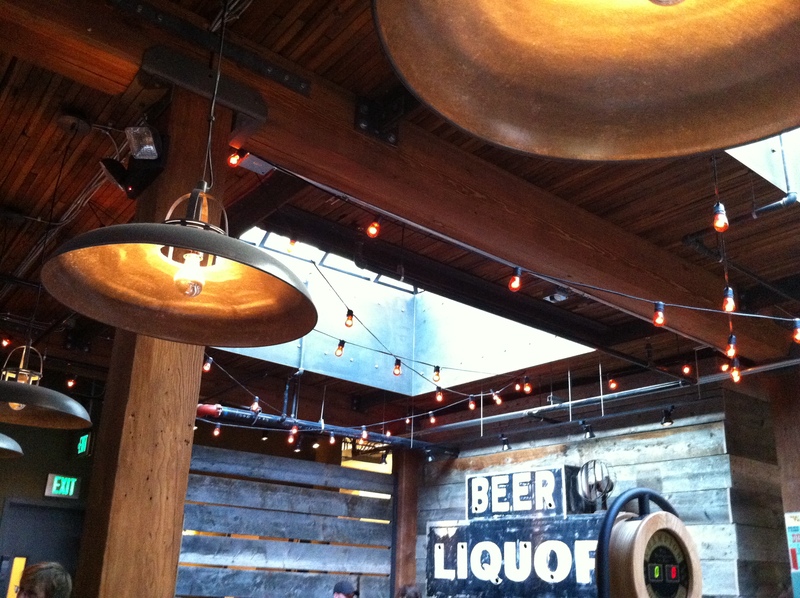 The decor is beautifully rustic and we also loved the duck breast special and their rabbit meatballs. 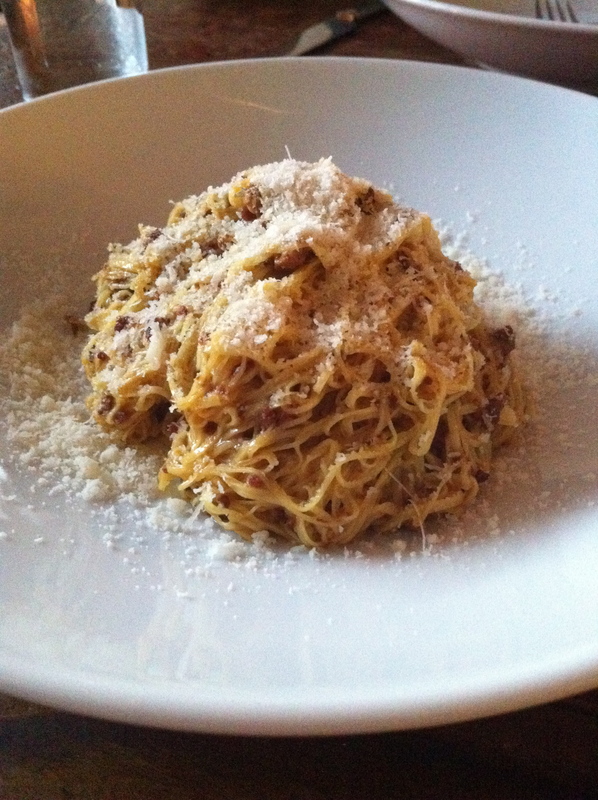 Named by Bon Appetit as one of the Top 10 Best Places for Pasta. 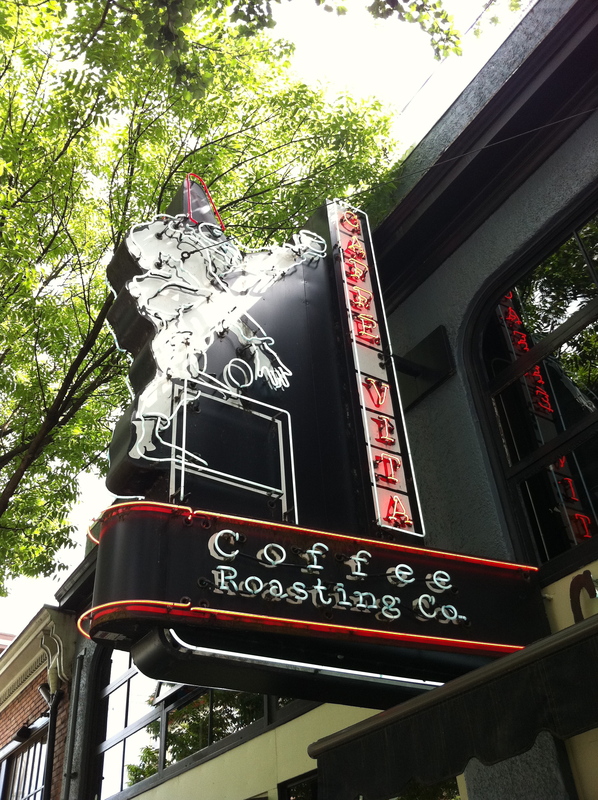 Caffe Vita Coffee Roasting Co. – in the land of coffee giants Starbucks and Seattle’s Best, this local coffee shop is considered by many to have the best coffee and espresso in town. 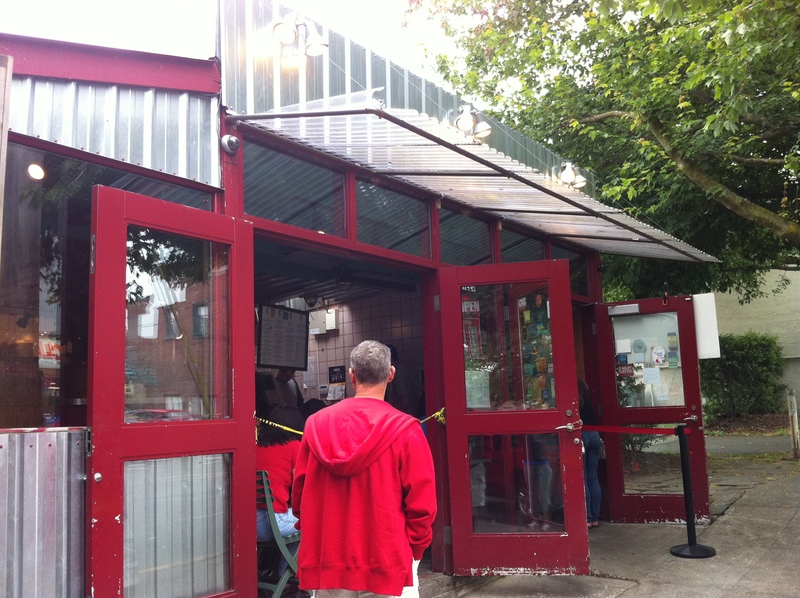 Good – but nowhere near the quality of Portland’s Stumptown Coffee Roasters which now has a shop in Seattle. 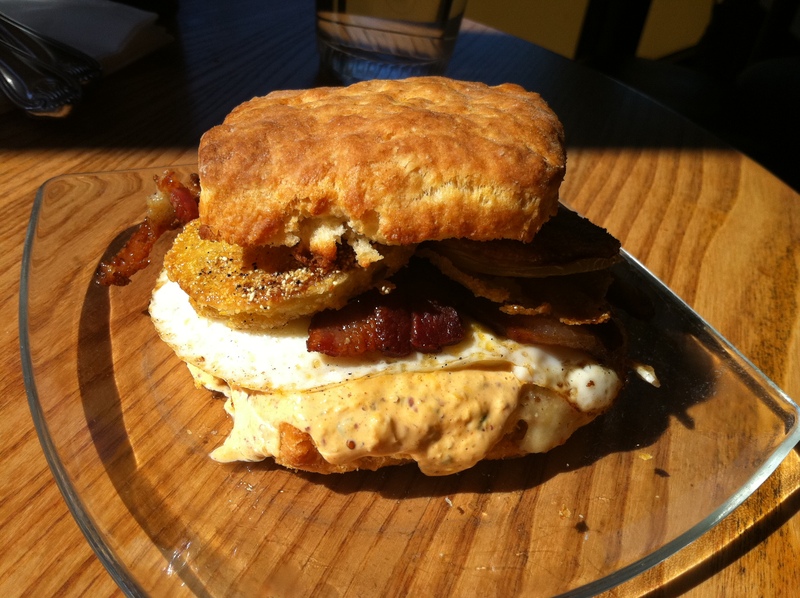 Serious Biscuit : outstanding biscuit-centric breakfast spot in South Lake Union area from Tom Douglas. The Zach (a biscuit with fried chicken, bacon and egg) and the biscuit with fried green tomato with remoulade, egg, and bacon were every bit as good (and filling) as they sound. 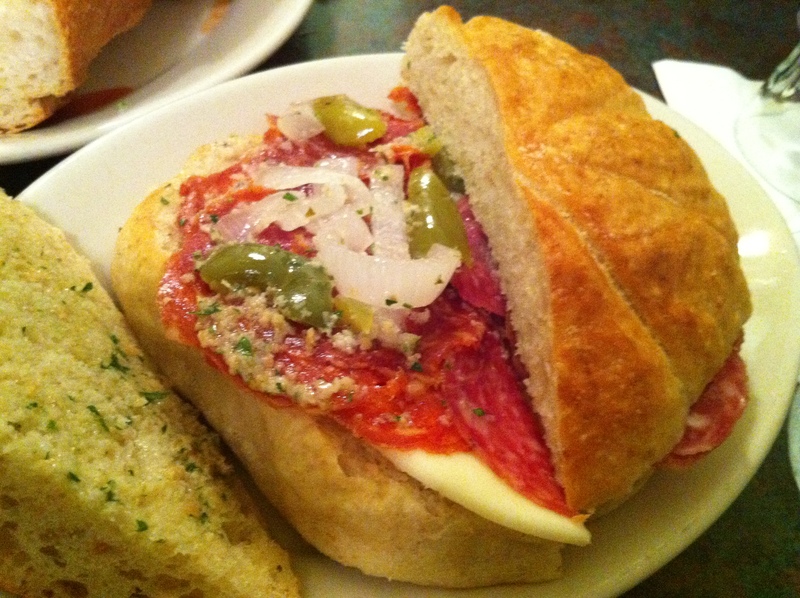 Macrina Bakery : popular bakery and cafe in the Belltown area that supplies a lot of the bread used in local restaurants. 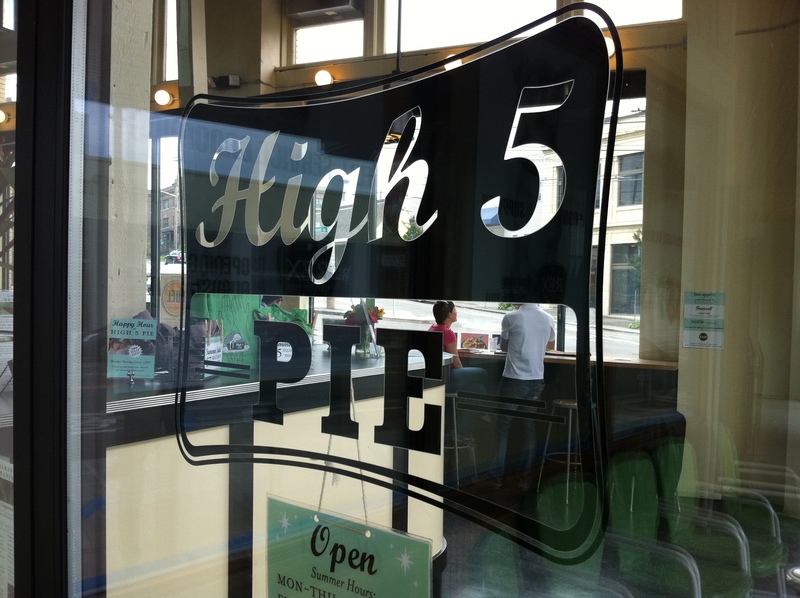 High 5 Pie : coffee and pie shop in the Capitol Hill area with a vintage meets modern vibe. Named by Bon Appetit as a Top 10 Best Places for Pie. Serves locally roasted Fuel Coffee. Try the Lemon Blueberry Flipside – which is kind of like a moist and flaky turnover. 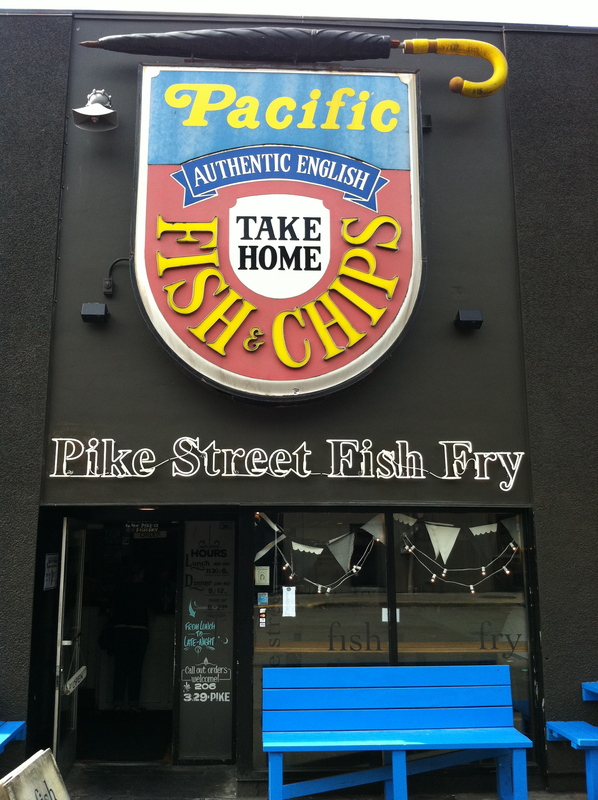 Pike Street Fish Fry – tiny fish and chips dive in the Capitol Hill area. 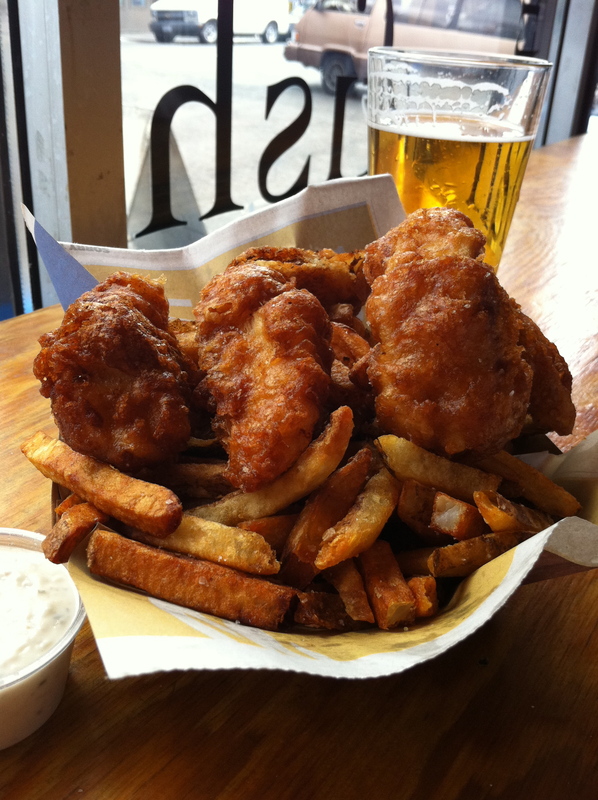 The fish selection changes daily with whatever is fresh, but locals say the cod is always a great way to go. 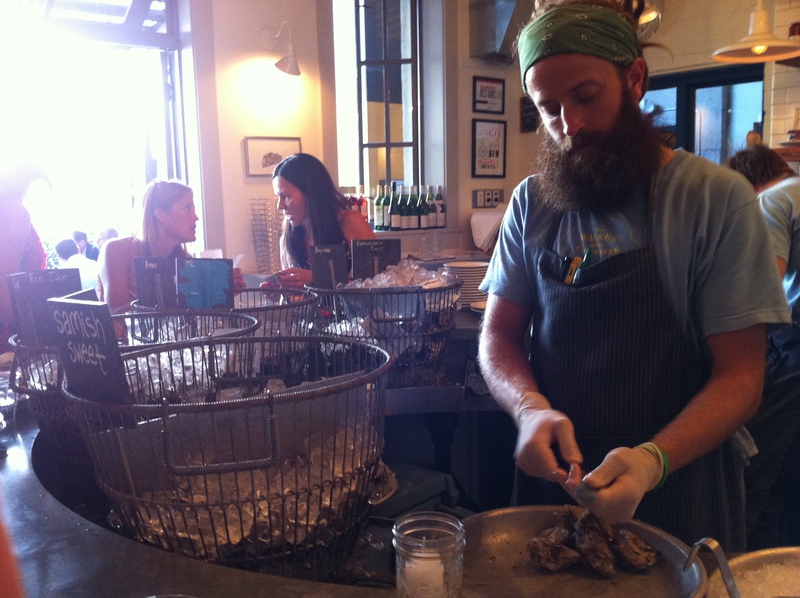 Get several of their yummy dipping sauces like the housemade tartar and lemon ailoi. 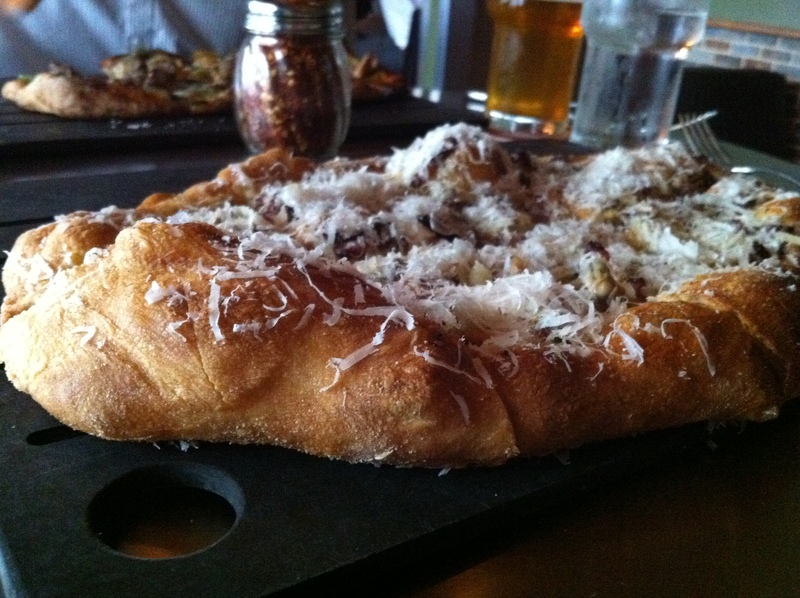 Serious Pie – gourmet Downtown pizza shop from Seattle chef and restauranteur Tom Douglas. The clam pizza with pancetta, lemon, and parmesan cheese and chocolate budino with olive oil and sea salt were the standout dishes. Salumi Artisan Cured Meats – legendary sandwich shop in Pioneer Square where locals and tourists alike line up single file for Armandino Batali’s (Mario’s father) cured meats. 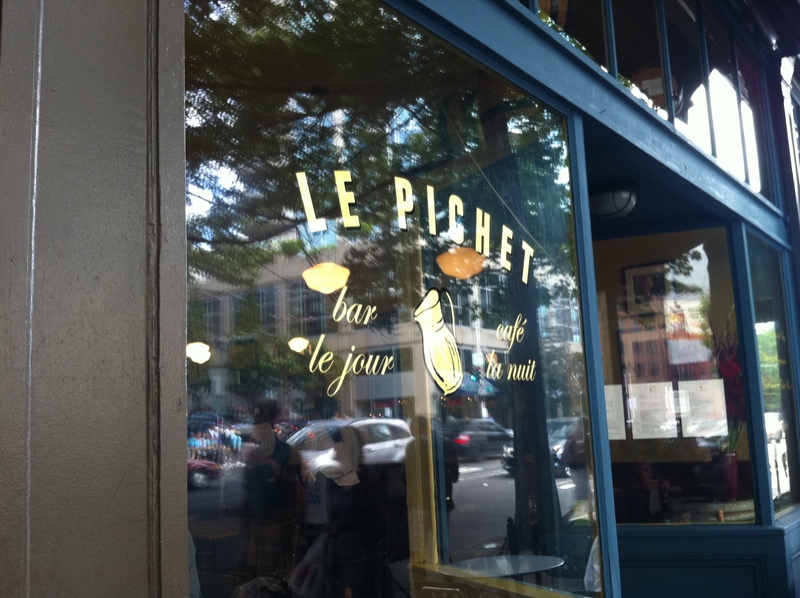 Le Pichet – Parisian bistro located Downtown that truly achieves the European cafe vibe. Try the crispy chickpea fritters served on a salad of tomatoes. Open for lunch and dinner. 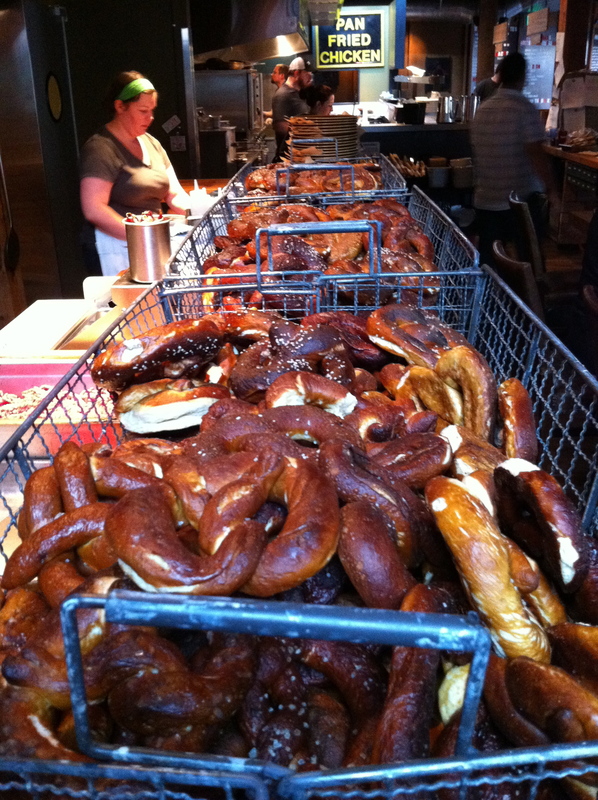 Brave Horse Tavern – A pretzel and a beer. But this is no ordinary pretzel and no ordinary beer. This is the best pretzel you have ever eaten – fresh hearth baked in a wood fire oven with sour cream and crispy onion dipping sauce. And the beer – 24 on tap (local or hard to find) and all delicious. So, get a pretzel and a beer (we loved the sour brown ale – La Folie from New Belgium Brewing) but don’t forget to order their fantastic burger with crispy iceberg lettuce and heirloom tomato on a Dahlia Workshop bun. 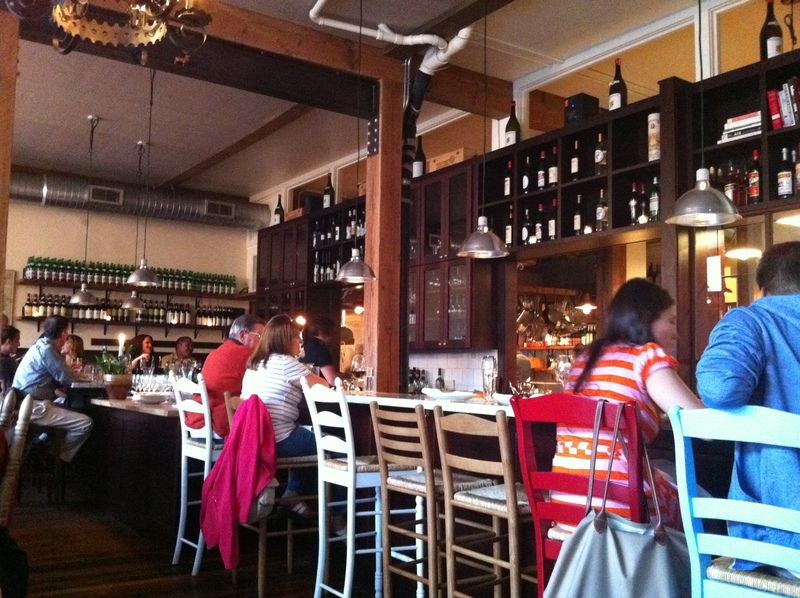 Staple + Fancy – one of several restaurants in the Seattle area from Ethan Stowell – one of Food and Wine’s 2008 Winners of “Best New Chefs in America”. You can either order a la carte and get “staples” or you can get “fancy” and let the chef create a unique multi-course meal just for the table. Bluebird Microcreamery – relaxed and artsy ice cream shop in the Capitol Hill area with creative flavors as well as 8 rotating local beers on tap. 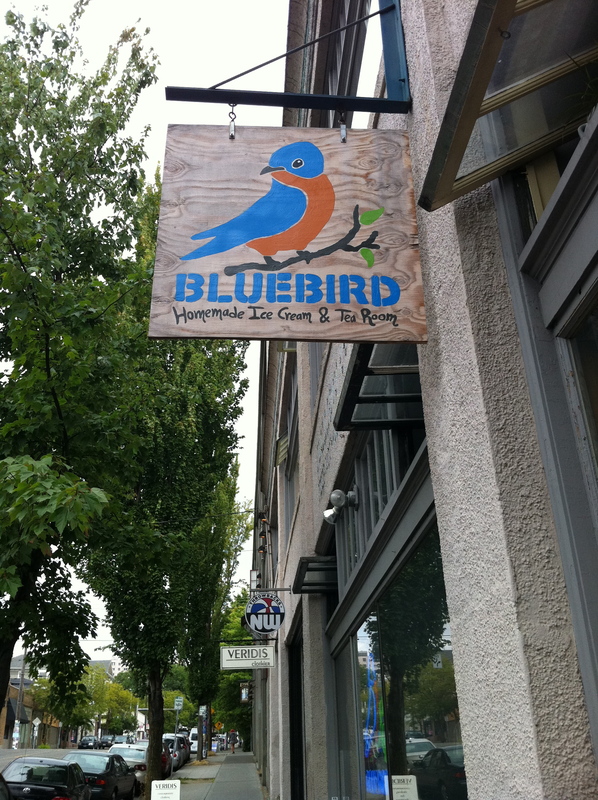 Even though Molly Moon’s Ice Cream is the more popular of the two, we found Bluebird to be far superior. The Snickerdoodle was excellent.